The auspicious history of London’s River Café, tucked away in the unlovely Hammersmith grinding against but not wearing down its faithful Italian cuisine, is already well documented, but in the best tradition of – as Kierkegaard had it – life only being understood backwards while it must be lived forwards, let us turn around and again consider its past. Opened in 1987 by the late Rose Grey and Ruth Rogers, it originally served as nothing more than a staff canteen for the latter’s husband, the famed architect Richard Rogers, when members of his practice then based in the area found it a restaurant wasteland. Ruth and Richard have contributed much to the aesthetic landscape of London. Lord Rogers has given the city Heathrow’s Terminal 5, the once radical Lloyd’s Building now sitting more confidently at home in the Square Mile than its motifs first suggested upon its 1986 opening, its high-tech style a continuation of his firm’s design of the Centre Georges Pompidou in Paris completed almost a decade before, the controversial Millennium Dome and the City’s Leadenhall Building, now home to his current firm of Rogers Stirk Harbour + Partners and facing directly opposite the Grade 1 listed and iconic Lloyd’s construction. The architect has come a long way since Hammersmith, a personal journey leaving a professional imprint upon London’s topography. 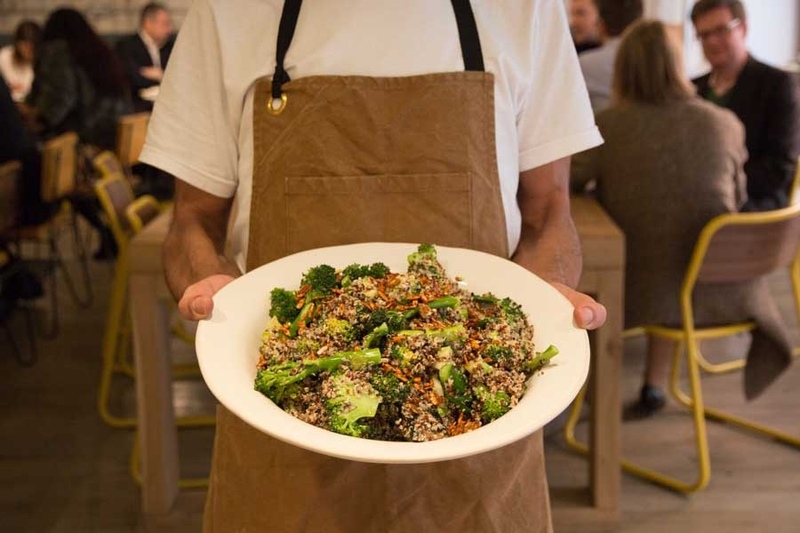 Although many of London’s current crop of new restaurants are littered with apostles of St. JOHN founder Fergus Henderson’s school of cookery, Ruth can lay equal claim to an earlier production line of celebrated chefs whose River Café training led to them opening a sequence of restaurants following its ethos of impeccably sourced ingredients simply but accurately cooked. Its progeny include Hugh Fearnley-Whittingstall, the husband and wife Clark partnership behind Moro, Theo Randall and, given the due last word, Jamie Oliver. Plucked by the BBC in 1997 from the obscurity of the stove while a River Café sous chef, its gaining a Michelin star just the following year is a quirk of fate matching his own subsequent television dominance, the BBC repackaging the then young man without any formal media training into the Naked Chef and having him front a landmark series setting female hearts aflutter while spawning the modern era of food broadcasting. 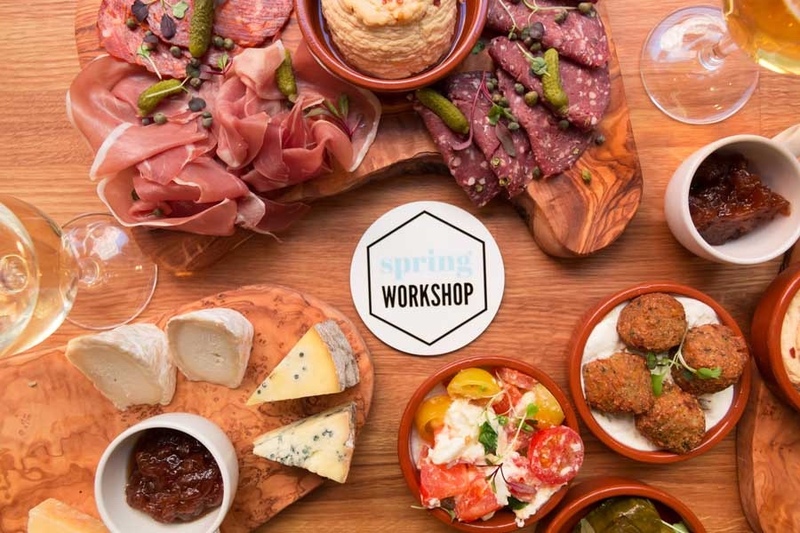 None of which appears, at first glance, to have much to do with Spring Workshop, a relatively new café to be found right behind Claridge’s in the kind of quiet, atmospheric and refined Mews Mayfair pulls off so well. While Oliver has long since switched to Channel 4 – whose modernist Pimlico headquarters Rogers was responsible for too – parallels can also be drawn between Oliver’s first restaurant venture, Fifteen, and the assertions of Spring Workshop. Fifteen is rightly famed for its apprenticeship scheme, the non-profit restaurant acting as a social enterprise for unemployed youths between 18-25, many of whom have suffered difficult backgrounds, by giving them the opportunity of learning a trade and ultimately qualifying as professional chefs, thus gaining a vocation in replacement of their previous lack of opportunities and qualifications. Spring Workshop belongs in this altruistic vein too. With the support of professional services firm KPMG and the Compass Group’s Restaurant Associates offshoot, the café tackles social mobility issues by offering employment, apprenticeships and work experience to disadvantaged members of the local community, irrespective of their background, and provides a coffee training scheme for homeless people. Moreover, the enterprise is a living wage employer, while all profits and tips are donated to charities themselves engaged in social mobility causes. A beneficiary of this grace is Roberto, as passionate about food as his homeland of Italy considers inevitable as he is transparent about the past which has led him to being responsible for the evening service at the Workshop, a recent move by the café beyond it originally being open for breakfast and lunch only. Previous drug use had led to Roberto losing his way and living in a Brixton hostel, a period further compounded by, once he was clean, losing most of his savings when opening a café of his own which succumbed to the credit crunch and the general downturn in fortunes it perpetuated. 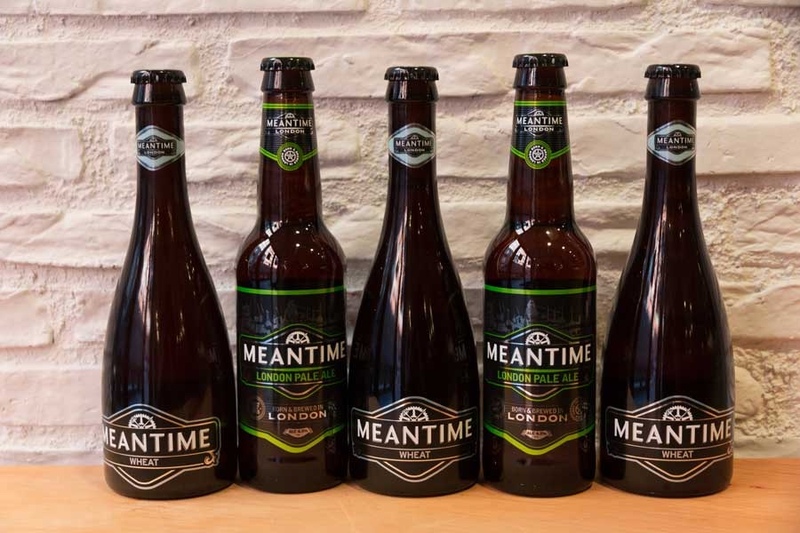 Returning to recuperate in Milan, he brought his family back to London once back on his feet again and remained in the catering business, moving to Spring Workshop just two months ago but already entrusted with heading up its dinner offering, which consists of shared mezze platters or charcuterie and cheese from Neal’s Yard, a small selection of wines and London craft beer. 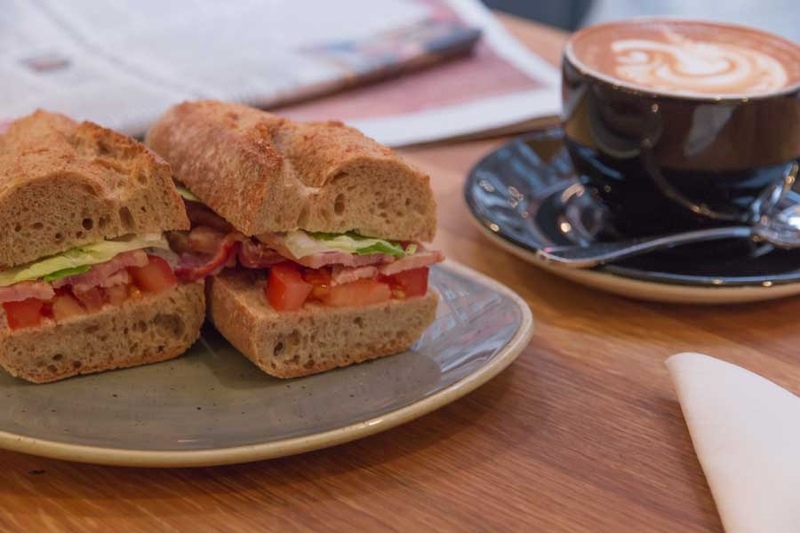 By day deli sandwiches and salads are on offer, using ingredients supplied by artisanal producers, while the coffee is blended by HEJ in Bermondsey – each cup is freshly ground to order. While with Roxy Music, Bryan Ferry once sung of there being In Every Dream Home A Heartache. Turning his formulation on its head, we can imagine that kitchens the world over contain, somewhere, the next Jamie Oliver. Roberto and his colleagues have been given, with the help of corporate social responsibility writ large, the chance to, if not be discovered as he was and continue his admirable influence and campaigning, discover themselves. For this reason alone, Spring Workshop deserves our patronage.